Your voice plays a crucial role in engaging and captivating your audience. No matter how good your choice of words is, your voice will still be the main factor in leaving a lasting impression on your audience. Here are some tips to maximize the use of your voice. Speaking in a regular, monotonous tone, without any variations in the tone, will bore any audience in just minutes. When preparing for a speech, identify which words and phrases could use a little spice by changing the tone. Doing this naturally may take some time, but it can be one of the most effective tricks for delivering speeches. 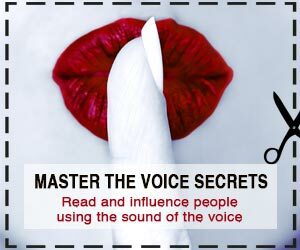 Like intonation, the volume of the voice can make or break a presentation. Having one volume for the whole duration of a speech could cause the audience to become bored. Draw the audience's attention by lowering your voice during some parts; surprise the audience by using a voice louder than normal at other times. When speaking with a softer voice, make sure that the audience can still hear the speech at all times. The main goal of speaking is to convey a point. By presenting points in a clear and concise manner using the simplest words possible, the audience will better understand the topic at hand. Notice how the variations in the emphasized word could change the whole meaning of the sentence? Usually, presenters who speak fast are considered great, all because of the rate they can convey information. However, speaking fast may hinder your audience's understanding of the speech. By pausing, listeners are given a chance to absorb important information that has been conveyed. Pausing can also make the audience anticipate what the speaker will say next, or just serve as breathing room for the speaker. Hand gestures: Using your hands to emphasize points or to differentiate A from B can be very effective. Transition words: By using transition words, any speech can become easily understandable. Eye contact: Look at the audience while speaking. This, combined with the power of your voice, will make for a top-notch speech.